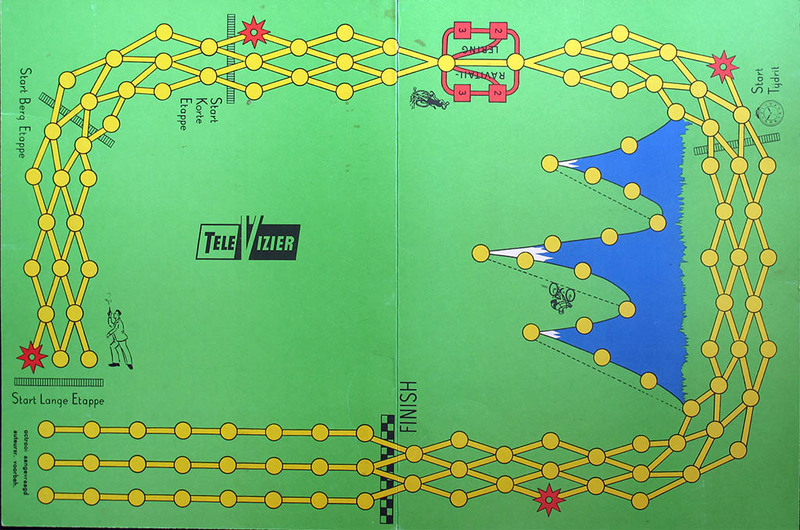 One of my favorite games (and not only mine: Frank van Geloven wrote to tell he has been playing the game for the last 35 years!) 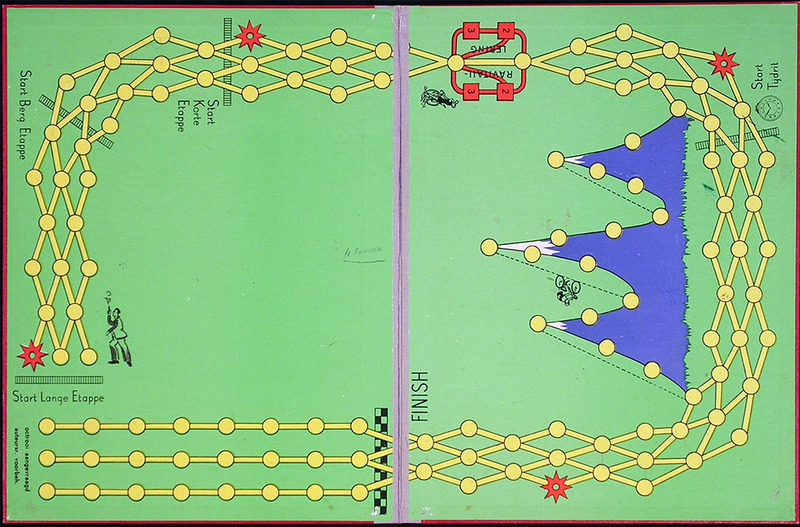 This game is the earliest game I know in which riders are moved by drawing cards instad of throwing dice. 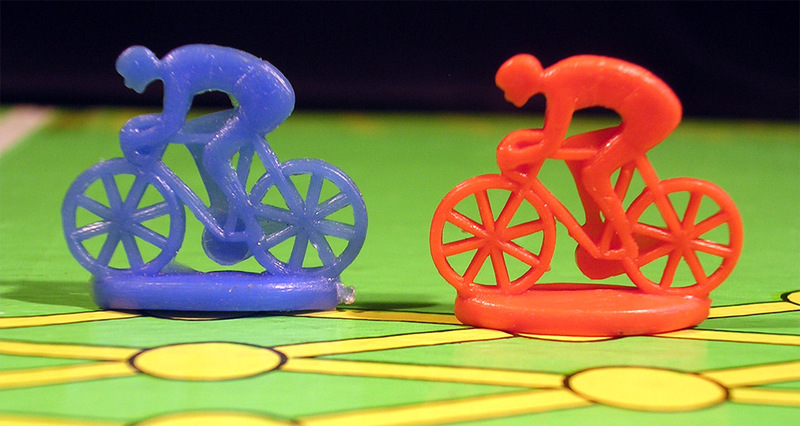 And as I always say, I find this a much better approach to a cycling game. 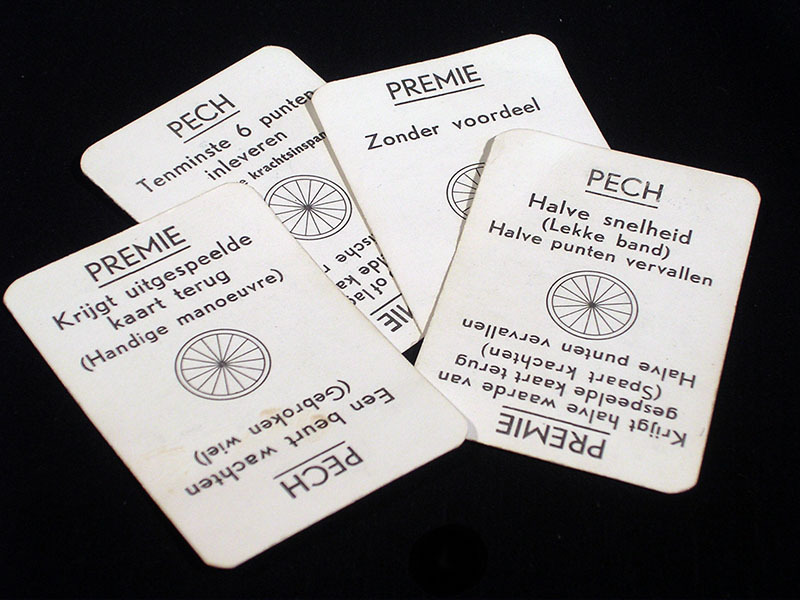 Unfortunately, this game is almost unknown outside Dutch speaking countriesMaybe it is because the rules are only in Dutch? In case someone is interested, I have a broken English translation (with the help of the late Geert Lagrou and probably some online translator). As you can see in the picture above, there are different editions of this game (not counting its reprise as Ronde van Frankrijk). 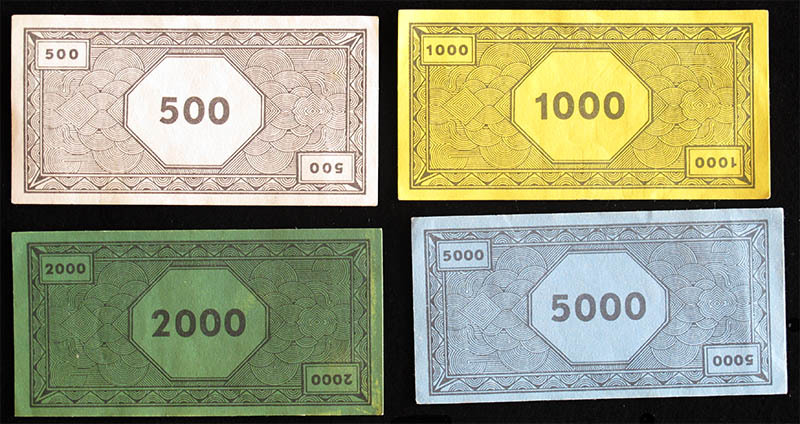 The black and red boxes are very similar, and their contents are identical. They is probably the first version, for which Geert Lagrou found a reference in a 1957 mail-order catalogue. 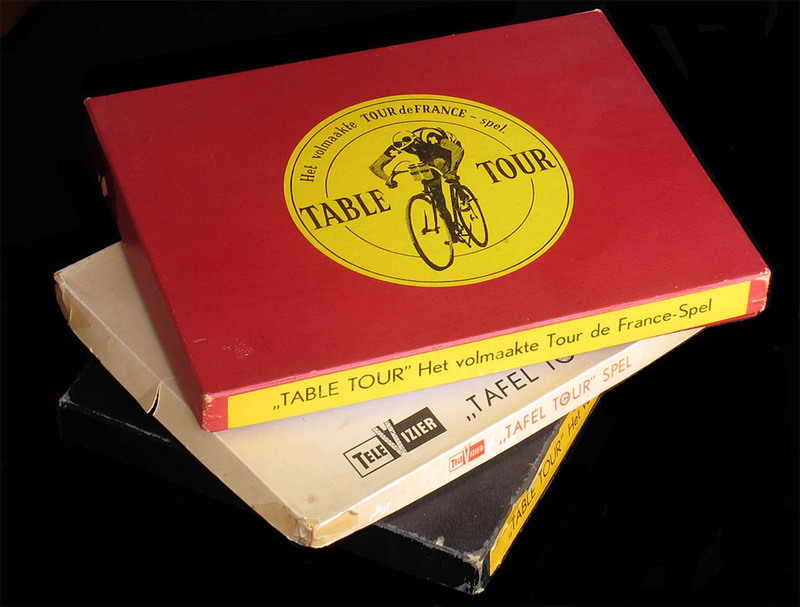 The white box is a version sponsored by TeleVizier which was released sometime in the sixties (Televizier itself did not start until 1960, and of course they also sponsored a cycling team in the mid-sixties). 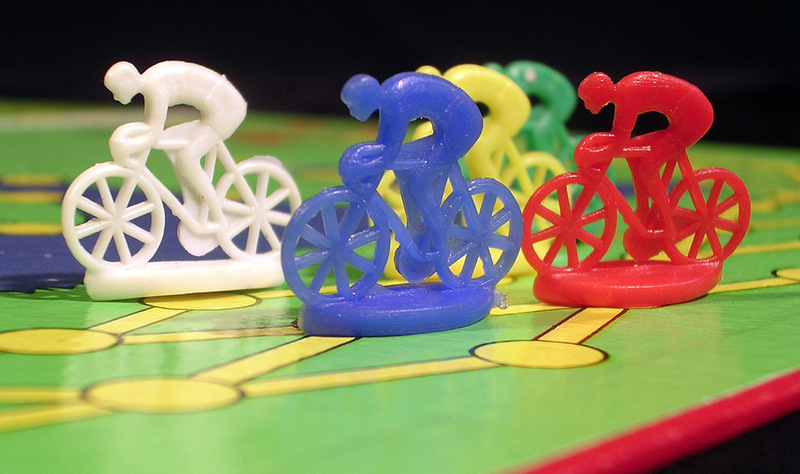 The board and the box are made of lighter cardboard, while the other game components (riders, cards, bank notes) are identical to those in the sturdier boxes. I remember that Geert Lagrou also had a version of the game in a different red box, but I cannot say much about that one. Thanks to François Cardinet for the Televizier version.